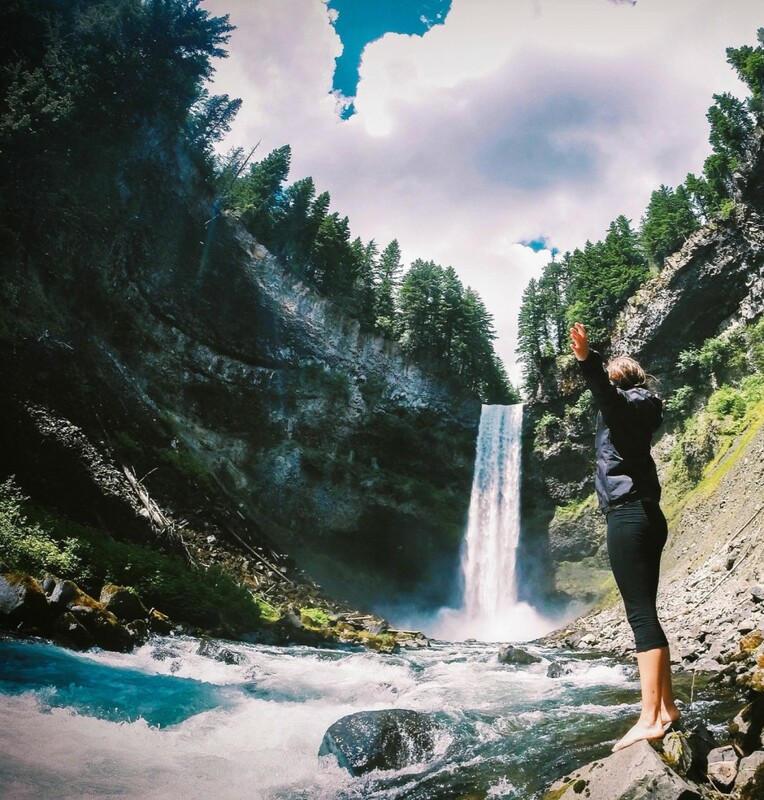 Brandywine Falls is just south of Whistler with an easy walk to the viewing platform, but way sicker is working your way to the pool below the falls. 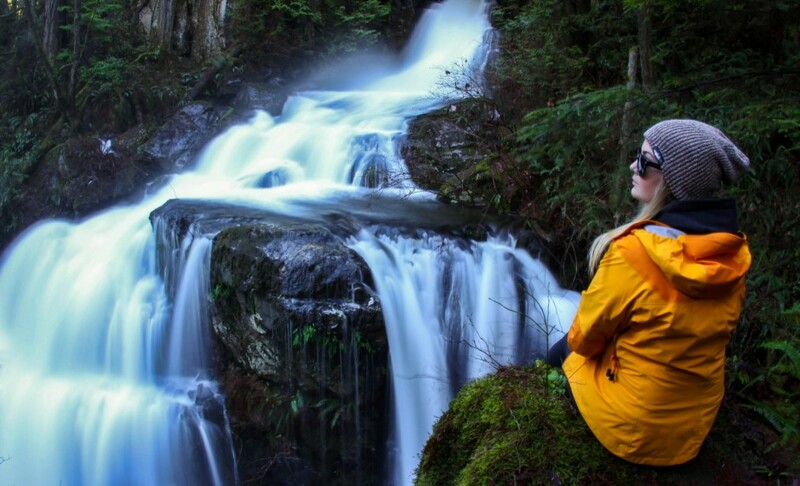 The hike down to the canyon involves some serious bushwhacking, but it’s worth it. I’ve never been doused by such a strong current of mist before in my life. It was a challenge to take a good photo since we didn’t go equipped with the right gear to get soaking wet. Joffre Lakes are some of the most popular and reachable alpine lakes in BC; you’re able to drive most of the elevation, and the hike to the upper lake is a short and sweet (by “sweet” I mean the most miserable uphill climb you definitely weren’t expecting) six kilometres. There are three lakes in total. The second is the one most people obsess over as there’s a log you’re able to climb out onto for a photo that offers a stunning backdrop of Mt. 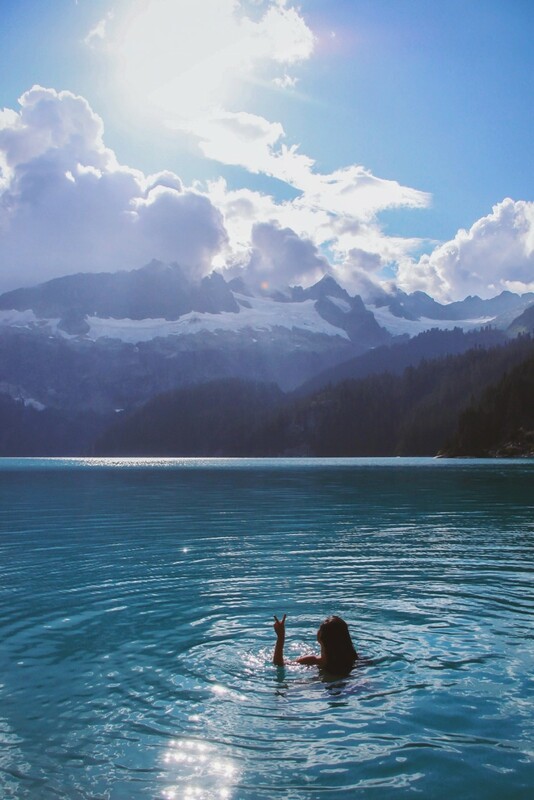 Currie and a pristine, glacial blue lake. The hike’s extremely popular due to the fact that it’s so short and available as well as dog friendly. I’d suggest camping overnight. Camping changes everything. 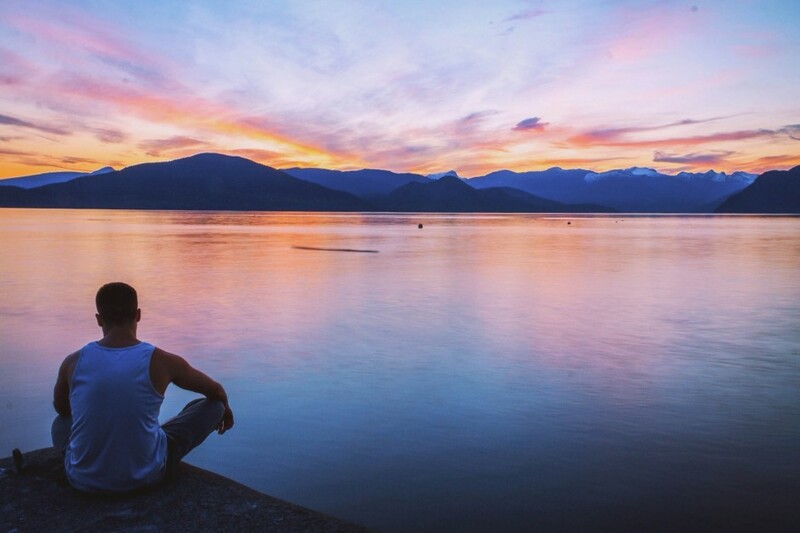 It allows you to have those quiet life reflections while you watch the sunrise. Most importantly it allows you to connect with nature without strangers in your space or stealing the photo you’d been dreaming about. 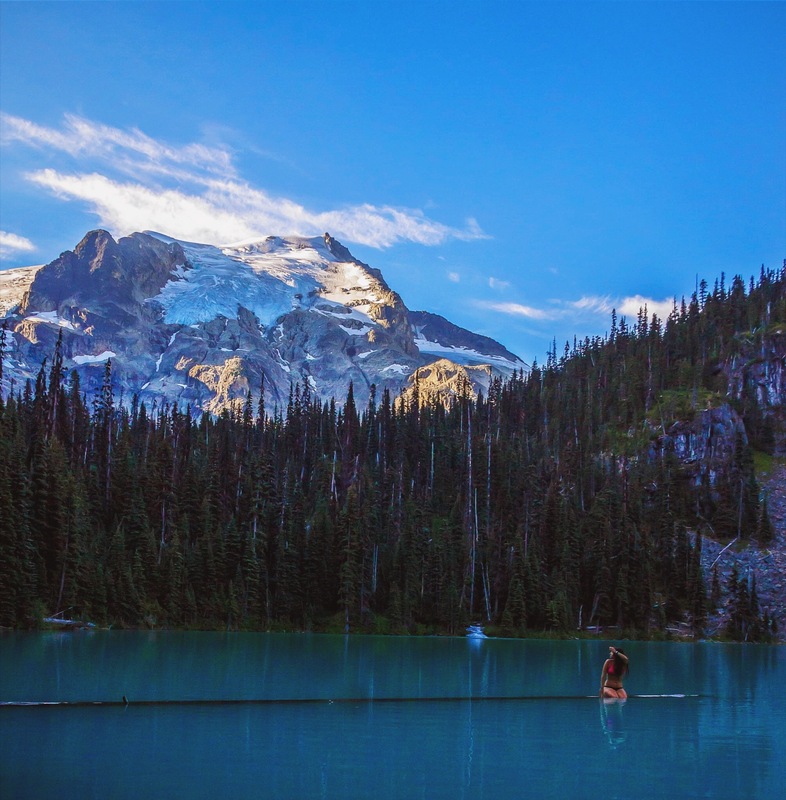 This is one of the most accessible alpine lakes that we have here in BC. It’s only 10 kilometres to the lake from the parking lot near Whistler, and it’s a healthy, consistent incline. 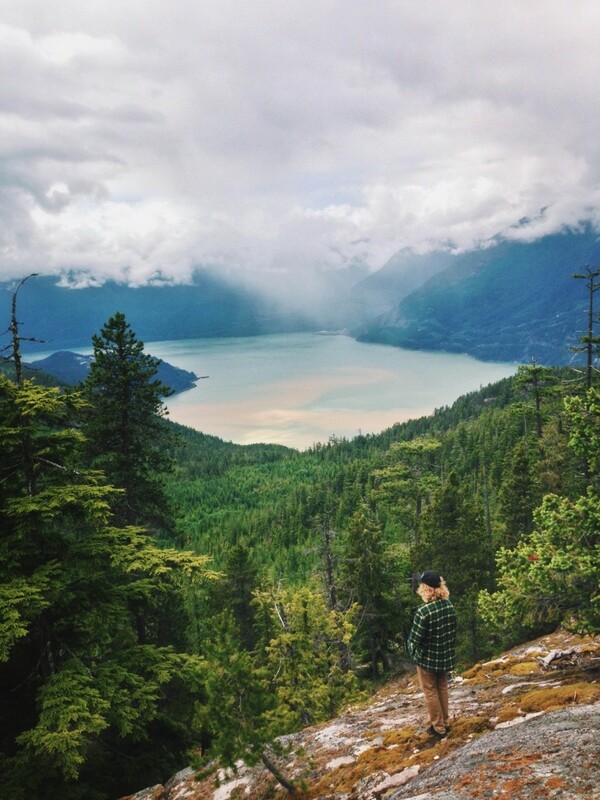 The view is definitely worth the hike. The colour of the water changes as the seasons pass, and by the end of August it’s a kind of blue you can’t capture or describe to anyone unless they’ve made the trek and swum in it themselves. I came to this lake for the first time with my dad for my 20th birthday, and I have been coming ever since. I made it to this lake seven times this year alone, and it never gets old, as every experience is unique with each group that accompanies me when I go. 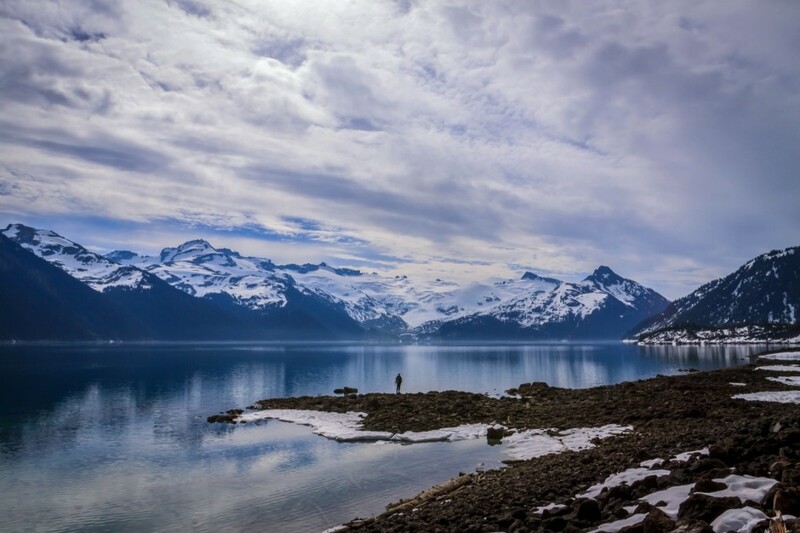 Because Garibaldi Lake is so easily accessible, there are always heaps of people that come up for a day trip. To fully appreciate the place you need to camp overnight and drink it in when the crowds have passed. This is hands down the ultimate summer splash spot. It’s off the beaten path and makes you feel lucky we have access to this hidden site with cliff jumping directly into the ocean. This summer it was the go-to spot to catch sunsets, gainers, good vibes, and friendly encounters with a seal. It’s extremely special, what the veterans once called a “locals-only” spot; however this isn’t the case anymore since it’s picked up a heap of traffic over this past summer. It’s equipped with two rope swings and cliffs ranging from 10ft to 60ft, all surrounded by an epic view of the ocean. Lake Lovely Water has the most unoriginal and cliché name of all the places I’ve visited, but it’s my favourite place on earth. I’ll never be convinced otherwise, and it’ll always stay my favourite place on earth. I’ll take my future husband, my children, and my grandchildren to Lake Lovely Water in the hopes it’ll change their lives the way it changed mine. It defines exactly how lucky we are in BC to have such a monumental playground to do basically any outdoor activity our heart desires. 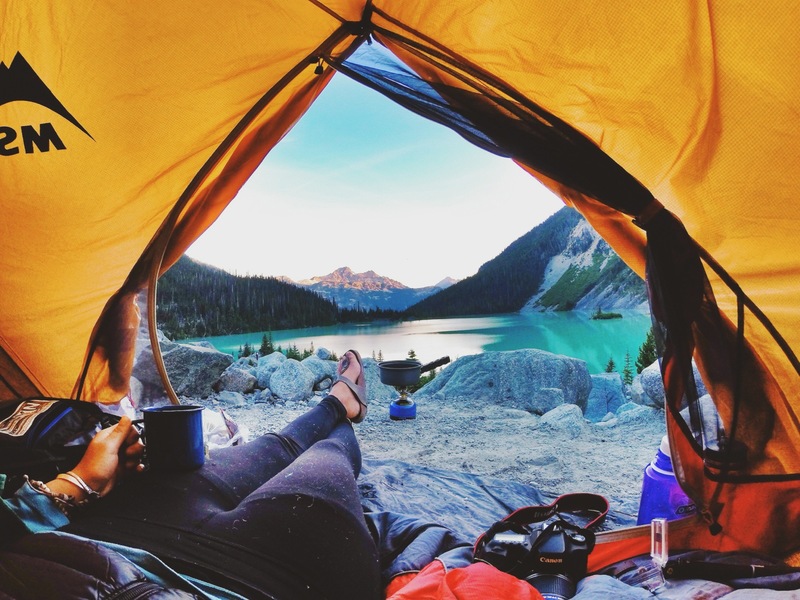 This is where I’d live if it were acceptable to set up lean-tos in provincial parks. 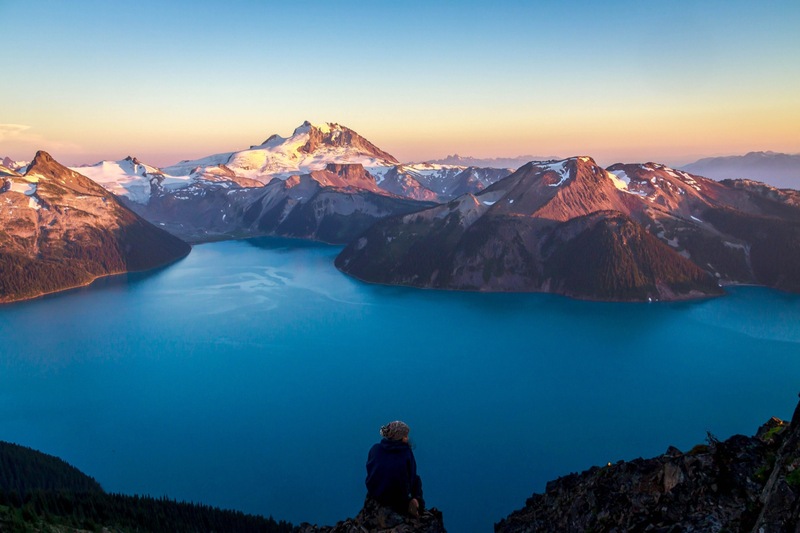 The ridge is located in Garibaldi Provincial Park, and walking from the lake it’s about an extra four hours, depending how skilled you are scaling rocks. 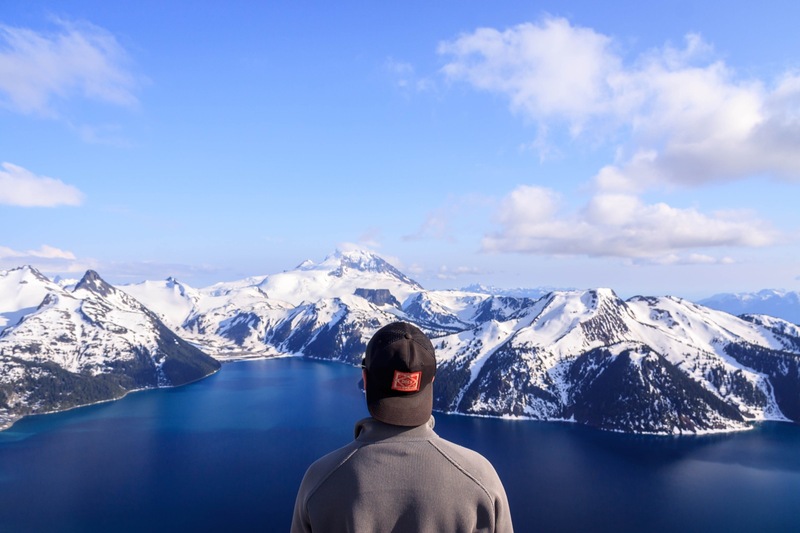 I’ve visited the ridge just as many times as I have the lake, for obvious reasons — the view’s mind-blowing. It’s the kind of view that makes you drop your mouth and open your eyes as wide as you can because you can’t take it in fast enough. I’ve watched sunsets, sunrises, the falcons fly beside us, and the snow melt off of the surrounding mountains as the seasons changed from every visit. People who question why I’ve done the hike so many times haven’t done the hike themselves to understand my obsession with it. Every visit’s been unique, and the only time I ever regretted my choice to hike it was in the snow with my favourite adventure pal, who has the patience of a monk and the spirit of adventure equivalent to Indiana Jones. We had to blaze our own trail in waist-deep snow, and, although I was unable to feel my feet for the majority of it, the view we were rewarded with was the best of all of my visits. We were able to experience something not many people had, and we worked the hardest we ever had to get it. Anyone can hike the ridge in the summer, but it takes a certain mental discipline to do it in the snow. This photo’s more of a tribute to my friend Andy than it is about the view. While I appreciate the solitude of nature, I think adventures are only as great as the people you share them with. I have a very selective group of adventure pals I can share that feeling of stoke and solitude with, and Andy’s at the top of that list. He’s one of the coolest humans I know, and he has the most ideal hair flow for when I want to take a picture of someone staring at something to show the magnitude of the scene. Steelhead Falls is basically in my backyard, and I’ve been coming to this waterfall since I was a kid. We used to own two huskies, and it was the only local place we could take them to burn off their energy. This is my go-to place for an escape or zen zone to work on my photography skills. This isn’t exactly a nature hot spot but offers the best view of Vancouver at a ground level. 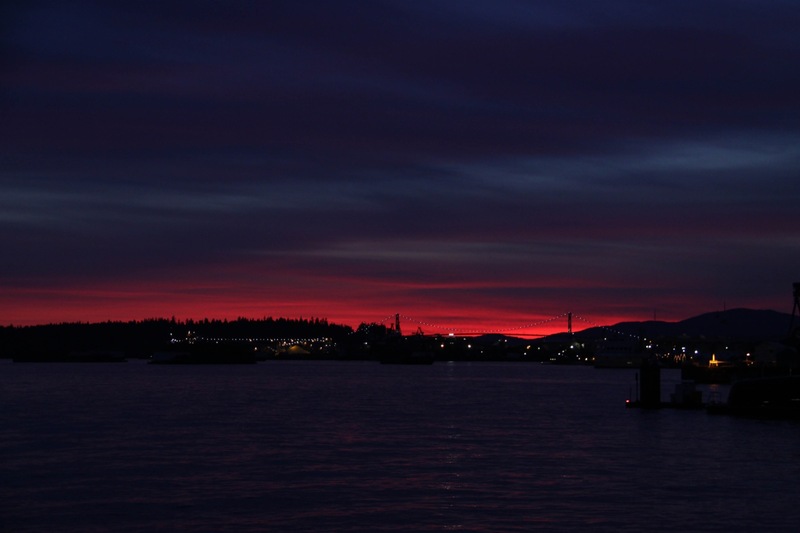 You get a panoramic view of the city, the seawall, the Lions Gate Bridge, and the ocean, and it has a massive dock to meander down. I feel that it’s an underrated spot for people learning to shoot night photography or cityscapes. This is the place that got me into outdoor gear and obsessed with taking pictures in nature. Every sunset, every sunrise, every snowfall, every day was perfection. 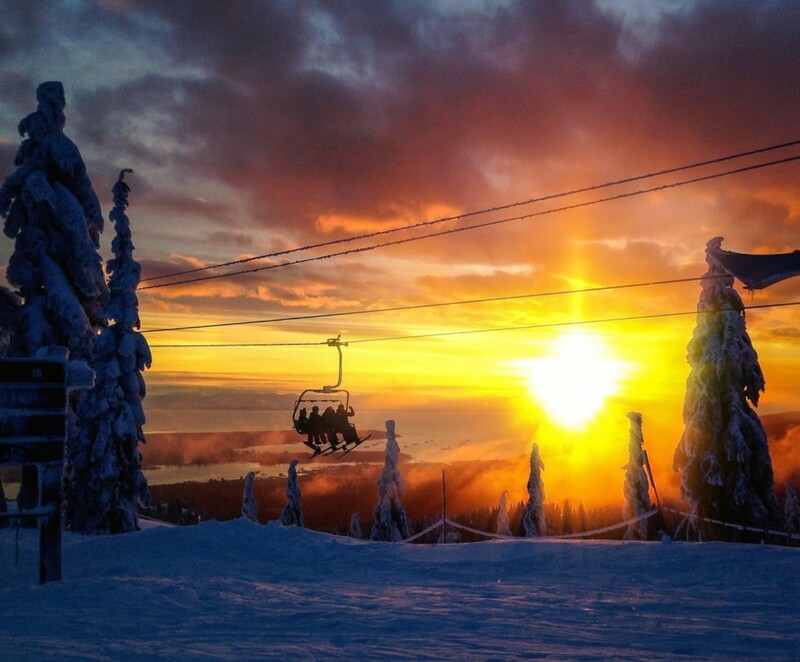 I spent my winter working in the resort and my summer catching sunsets on the lift towers. I’m so in love with the mountain’s every aspect. Plus it offers the best view of Vancouver without having to go far.